The joy expressed in this collection of festival-goers, meeting one last time in the parking lot behind Honest Ed’s, no longer matched its environment. The lights weren’t twinkling like the eyes of excited Fringe performers. We were all dressed up, sparkly and beautiful, waiting for the parade to start, to say one last goodbye to our ghost of a home. With no more blood pumping through Mirvish Village, we took the life in us to our new home at Scadding Court Community Centre. Mirvish Village was a beautiful space to occupy. There was magic oozing from all those strings of lights and graffitied walls. We radiated that energy right back. 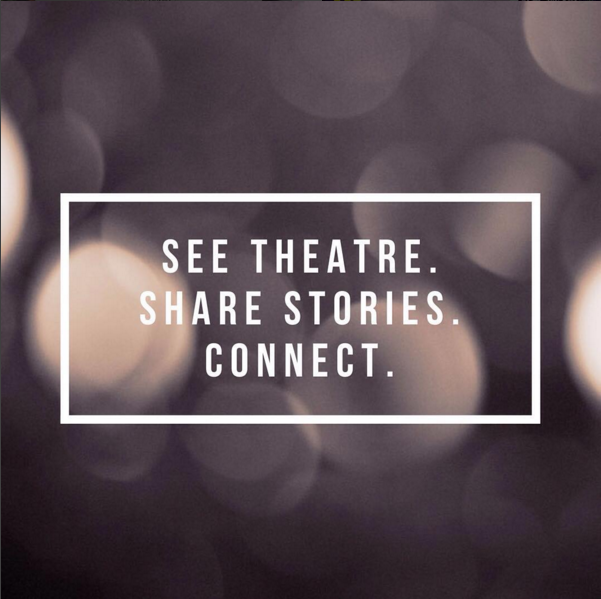 The Toronto Fringe is a community brought together once a year and our home base is integral. For every great difficulty faced in independent theatre, the Fringe Club and Mirvish Village had something to offer. Losing this home is sad. It symbolically connected the old Toronto with the new and the Fringe Club felt like a manifestation of those things coming together. I came to the parade, not to promote a show or give out hand bills to the public, but to work through feelings of grief and sadness. The Toronto Fringe has lost a home and our city is losing honest history and culture. I wanted to bring in the intentions of healing to this Costume Parade. Dressing up, being silly and marching down the street is already a practice I use to heal personal wounds. I often find new confidence and boldness when dressed as something a little outside of myself. I put on one of my partner’s lacy, floral shirts and donned a straw hat I had decorated with flowers and vines. I wanted my costume to represent new life – like a garden in the spring. I walked from my home in Little Italy with a bit more bounce and optimism in each step, towards Bloor and the special place we used to call The Fringe Club. A large group had amassed in the space surrounded by the boarded up windows. Empty homes and businesses, a place once full of life but now sacrificed for higher profits. It was evident we most move on. There was a politeness to the way we travelled down Bathurst. We shared the sidewalks, stopped at red lights, smiled, waved and courteously engaged the public. We divided ourselves into groups easily managed by the sidewalks and intersections. Our parade stretched a great distance down Fringe’s main artery. We were a cheerful spectacle moving at an eager pace. Our community features an incredible collection of beauty and inspiration. Amongst us were Mimes moving with mostly muteness – tuba and saxophone singing in their place. High Park Noir’s collection of crime-fighting critters created comradery between the new creations. The feline Fuzz was quite flirtatious. Physical representations of our most private parts were shared to the public for peer review. These fringe folks representing their shows or supporting a friend’s, passed out their offerings of invitation to all who would accept. As we continued closer to our new home at Scadding Court, we announced our presence with confidence and celebration. As 100+ fabulous Fringe people filed into our new home it felt like ecstatic celebration. Celebration for our community and the new community welcoming us in. Scadding Court is already a high use centre. Many different groups of people utilize this multifaceted facility. Our presence felt like a positive offering back to these folk. I started to make comparisons between our new and previously used spaces. Has Fringe found a home that builds stronger connections to the larger communities we exist in? Is there greater stability in this type of community space? It is clear we are guests here right now. We share this space with the skateboarders and shipping container merchants, the families and youth groups that use the pool, park and baseball diamonds. This is unlike the alley we used to occupy, that at any other time of the year was a dank space mostly used for leaving a car behind. That parking lot was ours for twelve days and we filled it. We must engage our new space with more intention and mindfulness. It is now important to create something that involves our larger community. Something that offers welcomeness and accessibility to the folks outside of ourselves. I hope this will facilitate growth and deeper roots. Fringe is a tree with many branches and we wish for our fruits to flourish. This club has captivated the neighbourhood and we must stretch out our hands to share the joyous events that make this festival special. The reflections of grief and loss I addressed with my floral costume transformed into celebration of connection and community. I gathered sparkling, joyous energy and wish to radiate that back to Scadding Court and all the other spaces our festival shares. These conclusions were created by the Parade. It provided a space for catharsis if that is what you wanted. The symbolic mobilization of community in response to gentrification instigated honest reflection and a unifying spirit. This is something radiant we can all share. A continuous pursuit of cohesion is what will turn this space into home. I can do little else but emit excitement for our future. It’s something I am a big fan of. Find out more about The Toronto Fringe, the shows and events in this year’s festival and book tickets here.